In previous segments of “The Engineer’s Corner,” we have introduced you to some of the talented engineers part of our Bikeways group. This time around, we take a coffee break away from the bikeway design plans to chat with LADOT’s new Chief of Staff Bridget Smith. While Bridget is a newcomer to our Department, she is a skilled engineer with a civil engineering education from UC Berkeley, over 25 years of professional experience, and not one but three professional certifications: Professional Engineer (P.E. ), Transportation Engineer (T.E. ), and Professional Traffic Operations Engineer (P.T.O.E.). In this interview for “The Engineer’s Corner,” we ask Bridget about her move to our City, her experience in the field of engineering, and her idea of a livable street. 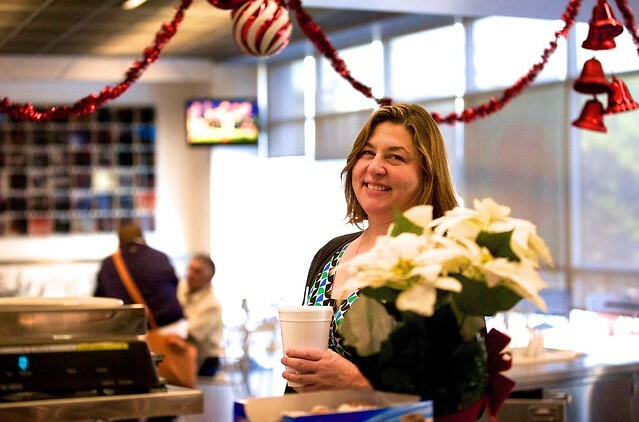 LADOT’s new Chief of Staff Bridget Smith takes a break to chat with us. 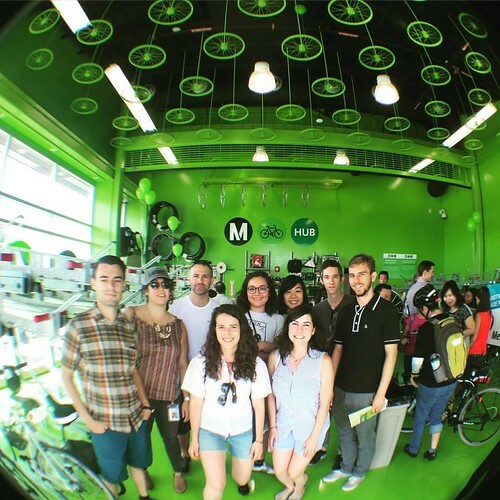 LADOT Bike Blog: Can you tell us about yourself? The Metro Orange Line Bike Path is sufficiently wide to provide separate demarcated spaces for people walking and bicycling. As the City works to design and build road improvements to support active transportation and revitalize the Los Angeles River, Angelenos are increasingly re-discovering the beauty of the City, changing how they travel throughout it, and visiting outdoor places to exercise. The bike path along the Los Angeles River is one of the few places in this City that can host people taking in nature, commuting to their destination, or just enjoying a pleasant bike ride or walk. The continuous 7-mile segment of bike path that runs parallel to a mostly soft-bottom portion of the river between Glendale and Elysian Valley known as the “Glendale Narrows” has proven to be especially popular for a number of activities, including: dog-walking, bicycling, recreational walking, bird watching, and more. Like many places in Los Angeles that become popular, the limited space, often less than 15 feet wide, available at this section of the LA River bike path can become crowded. At times, the bike path is occupied by dozens of people walking, rolling, and bicycling. Prior to the bike path being built from Fletcher Drive to approximately Riverside Drive in 2010, there was only 4.6 miles of continuous bike path from Fletcher Dr. to Zoo Dr. Few people rode their bikes along the Los Angeles River service road on the not-yet-constructed portion of the LA River through Elysian Valley, although the passage was used informally by locals. 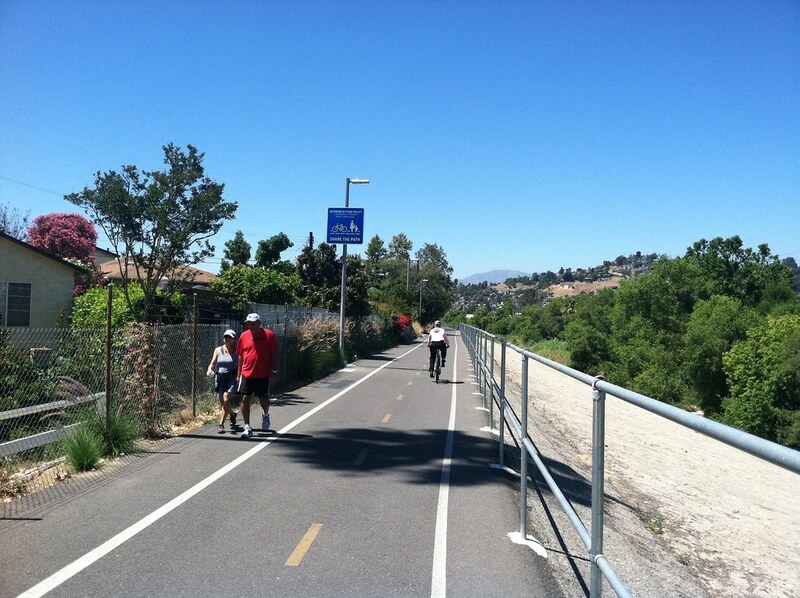 After the LA River path was extended to its current southern endpoint at Riverside Dr. in Elysian Valley, the facility’s smooth surface and accessible entrances attracted people walking, rolling, pushing strollers, and bicycling. What was formerly a 4.6-mile bike path became a continuous 7-mile shared use bike path, giving people more room to enjoy spaces along the LA River. Over the years, communities along the Glendale Narrows have also seen change and are drawing more attention to the LA River. Today, many people happily use what will eventually become a long linear park as it is intended for a variety of uses and activities. Despite the limited space, most users are able to get along most of the time – whether they walk, bike, or roll. 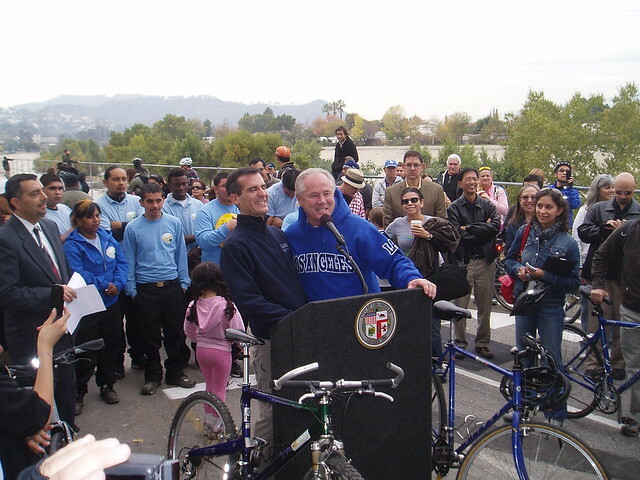 Then CD 13 Councilmember Eric Garcetti and then CD 4 Councilmember Tom LaBonge at the grand opening of the Elysian Valley section of the LA River bike path. Unfortunately, this post is not about the usual harmonious rhythm shared by LA River bike path users, it is about the small portion of time when path users struggle to get along. Every now and then, people walking or rolling on the path encounter people riding their bicycles at high speeds, making them uncomfortable and concerned. On the other hand, people on bicycles complain about people who walk in groups of three or more abreast or against the flow of bicycle travel. We hear reports of people colliding or nearly colliding with one another on the path, which can startle path users and discourage them revisiting this beautiful resource. In a perfect world, the path would be wide enough that none of these conflicts would exist but the reality is that the current width of the bike path is what is feasible given physical constraints and available resources. The City has few places that provide a better, uninterrupted bicycling experience than the Los Angeles River bike path, and as the River’s amenities continue to be built out all of us must do our part to keep the path a friendly and accommodating place for everyone. When everybody shares and uses the bike path responsibly, we can all get in on the LA River fun! Yield to people walking or rolling. Slow down for pedestrians entering the path. Slow down when passing anyone. Pass only when it is safe to do so. Travel at safe speed with due regard for others. Be especially cautious around children and elderly people. When traveling side-by-side, stay on the right side of the path when pedestrians are present. Ride in single file when there is not enough room to adequately share the path. Giving audible warning (i.e., saying “passing left”, ringing bell), pass only when safe to do so, and when in doubt, stop. Look both ways before entering the path. Keep to the right side of the path. Do not walk/stop in the middle of the path. Make sure children know where to walk and when in doubt hold their hand. Walk your dog(s) on a short leash (and please pick up after him or her). Look behind you and ahead- especially when moving across the path. Remember, the LA River bike path is a shared resource and we must all be courteous to its other users. The following is the text and summary of laws relative to Bicycle Path use in the State of California and City of Los Angeles and the Los Angeles River. CVC21207.5 Notwithstanding Sections 21207 and 213127 of this code, or any other provision of law, no motorized bicycle may be operated on a bicycle path or trail, bikeway, bicycle lane, established pursuant to Section 21207, equestrian trail, or hiking or recreational trail, unless it is within or adjacent to a roadway or unless the local authority or the governing body of a public agency having jurisdiction over such path or trail permits, by ordinance, such operation. CVC21211 (a) No person may stop, stand, sit, or loiter upon any class I bikeway, as defined in subdivision (a) of Section 890.4 of the Streets and Highways Code, or any other public or private bicycle path or trail, if the stopping, standing, sitting or loitering impedes or blocks the normal and reasonable movement of any bicyclist. (b) No person may place or park any bicycle, vehicle, or any other object upon any bikeway or bicycle path or trail as specified in subdivision (a), which impedes or blocks the normal and reasonable movement of any bicyclist unless the placement or parking is necessary for safe operation or is otherwise in compliance with the law. (C) This section does not apply to drivers or owners of utility or public utility vehicles as provided in Section 22512. CVC 21966 No pedestrian shall proceed along a bicycle path or lane where there is an adjacent adequate pedestrian facility. CVC213127. No person shall operate an unauthorized motor vehicle on any state, county, city, private, or district hiking or horseback riding trail or bicycle path that is clearly marked by an authorized agent or owner with signs at all entrances and exists and at intervals of not more than one mile indicating no unauthorized motor vehicles are permitted on the hiking or horseback riding trail or bicycle path, except bicycle paths which are contiguous or adjacent to a roadway dedicated solely to motor vehicle use. S&H Code 890.4 As used in this article, “bikeway” means all facilities that provide primarily for, and promote, bicycle travel. For purposes of this article, bikeways shall be categorized as follows: (a) Bike paths or shared use paths, also referred to as “Class I bikeways,” which provide a completely separated right-of-way designated for the exclusive use of bicycles and pedestrians with crossflows by motorists minimized. 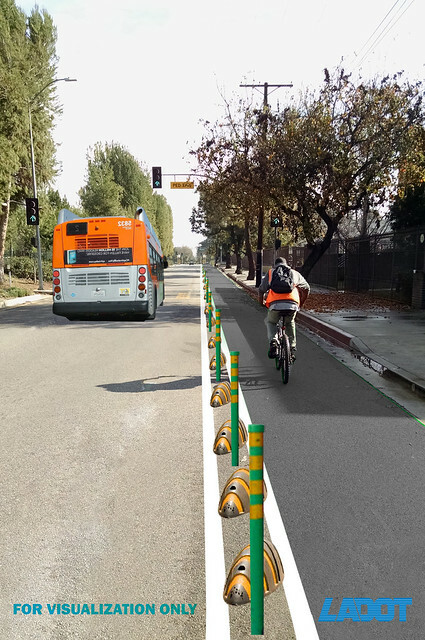 Bicycle Path design is overseen by Caltrans (State Dept. of Transportation) and various strategies may be utilized to make all users aware of each other on bike paths. Users of bicycle paths, or bikeways, are not allowed to use bicycles, skates, etc in a way that endangers other users of the path. LAMC 56.16-1. No person shall ride, operate or use a bicycle, unicycle, skateboard, cart, wagon, wheelchair, roller skates, or any other device moved exclusively by human power, on a sidewalk, bikeway or boardwalk in a willful or wanton disregard for the safety of persons or property. So, we know mobility is an important part of our lives that allows us to participate in different activities and we know a hub refers to a center for an activity but is a “mobility hub” a thing? The idea of a mobility hub comes from a vision for a sustainable transportation system that offers seamless connectivity and integration between various modes of transport, all through a single platform. There are two components that differentiate a mobility hub from other transportation services: (1) they serve the “first/last mile trip” from transit and (2) demand-based services are offered through an information technology platform. Mobility hubs, typically located at major transit stations, are designed to provide “on-demand” transportation through first/last mile transportation solutions. They are strategic locations where people using one mode or service can use another service to reach their final destination to both easily and conveniently. Mobility hubs are not only an extension of local transit service and infrastructure networks for walking and bicycling, but also a venue to access carshare services! Perhaps as exciting as the availability of these mobility options, is that mobility hubs also offer a host of other amenities that solve the first/last mile challenge. These can include electric vehicle charging stations, bicycle repair stations, secure bicycle storage facilities, like El Monte’s new “Bike Hub, transit hubs, ridesharing services, personal lockers, electronic signage of real-time arrival times, and departure transit information. It can be easy bein’ green! We’re excited for mobility hub amenities, like Metro’s really green El Monte Bike Hub, a secure bike parking room, to come to LA. 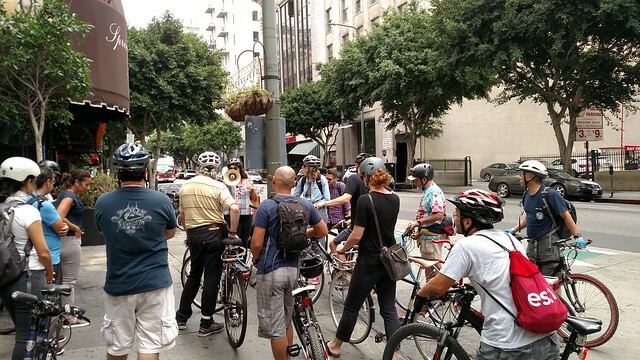 Next up: Hollywood/Vine Bike Hub! In addition to the first/last mile services, mobility hubs integrate recent technology innovations to allow you to use all these mobility hub amenities and services through a single application. Just like tweeting or submitting a 311 request, you should be able to reserve and/or pay for the services from your phone. A mobility hub can allow you to, for example, reserve a carshare vehicle through a mobile app on your phone or on your computer via an online portal while riding the bus, hop off the bus at a transit station, and immediately hop into your reserved vehicle. Just like many of the other apps and digital products available today, mobility hubs take advantage of quick and easy payment schemes to provide seamless connectivity. Who can’t get behind that? By this time next year, Los Angeles will join the ranks of more than 600 cities around the world with a bikeshare system! On June 25th, the Metro Board offered their stamp of approval for both the LA County Bikeshare Plan and a bikeshare vendor (Bicycle Transit Systems, Inc.) Shortly thereafter, the Los Angeles City Council voted on August 28th to partner with Metro in launching a pilot bikeshare program in Los Angeles, which will take place in mid-2016 with up to 1,000 bikes and 80 stations in Downtown L.A. This decision is momentous! Bikeshare is a critical component of a larger initiative taking place in the Los Angeles Metropolitan region, the Integrated Mobility Hubs Project. Cancel all your plans! 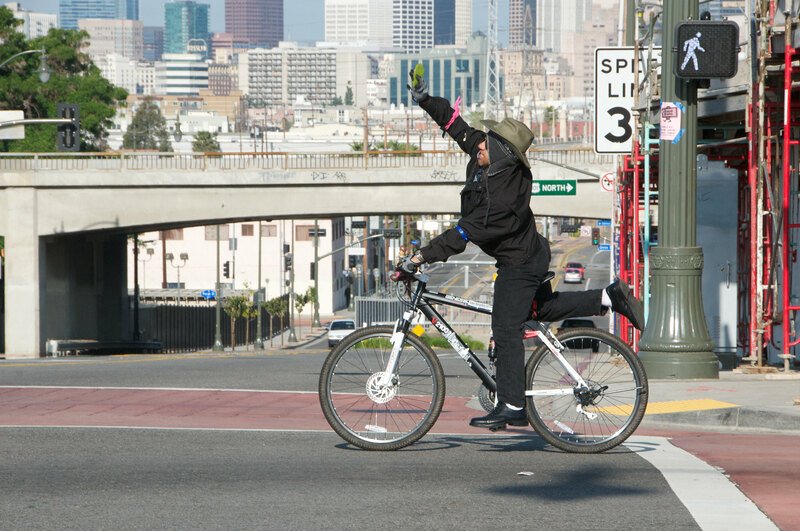 CicLAvia is coming back to town on October 18 in the Heart of LA (HOLA). Five years and 14 events after the first historic CicLAvia ride on 10/10/10, the ride returns to its roots in Downtown LA. If you don’t know how or where to get more info or join the epic event-filled day, or if you are interested in meeting new and interesting people, or if you just want to be part of a movement reshaping LA, there is a group for you! BikeSafeUSC is a coalition of University of Southern California (USC) campus groups uniting students, staff and community to plan a feeder ride to the CicLAvia. A.B. 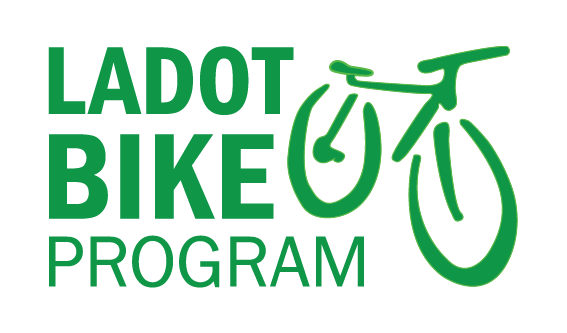 902, the traffic ticket diversion program, helps turn a ticket into a learning opportunity by providing an opportunity for people on bicycles to attend a bicycling class to reduce their fine. This change in the way we normally conduct traffic enforcement can result in reduced fines for committing moving violations, a more educated public, and over all safer streets, a real a win-win-win! It is important to note that the passage of A.B. 902 does not automatically institute programs statewide, but removes barriers that previously prevented cities and counties from initiating such an option for people ticketed while on a bicycle. 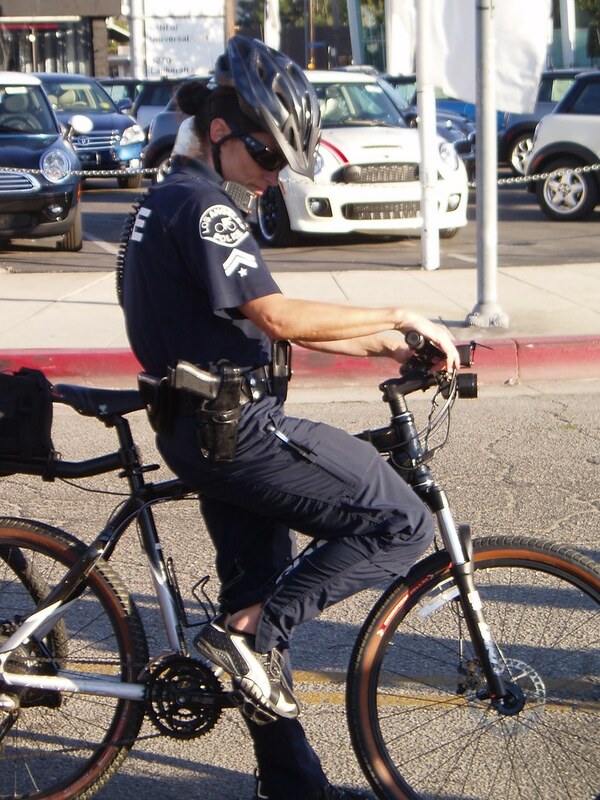 It is still necessary for members of the public to work with their local officials to ensure such a bicycle ticket diversion program is implemented. Cities and counties are now allowed to implement bicycle ticket diversion programs as a means to promote better bicycle safety while reducing ticket fines. A.B. 8, also known as the “Yellow Alert” system was proposed to combat the heavy toll of statewide hit-and-runs. Similar to the Amber Alert system, which alerts drivers of a missing child through freeway message board signs and text messages, Yellow Alerts are intended to garner the public’s help to find fleeing drivers of hit-and-runs crimes. Alerts will be issued only when local law enforcement has a sufficient description of the identity of the suspects and their vehicles. The alerts will be activated in specific geographic areas, presumably near the scene of a collision. In addition to freeway signs, alerts may be heard on television or on the radio. Yellow Alerts are not new to California. In 2012, the City of Denver instituted a similar system, as a result of which they experiences a 76% arrest rate in cases where the alert was utilized. The success of the program ensued in a statewide program throughout Colorado. Similar to Denver, the City of Los Angeles has been one step ahead of the state. In February 2015, City officials announced a hit-and-run alert system that would publish information on social media about cars and drivers linked to fatal and other sever hit-and-runs. This is a big win for Southern California! 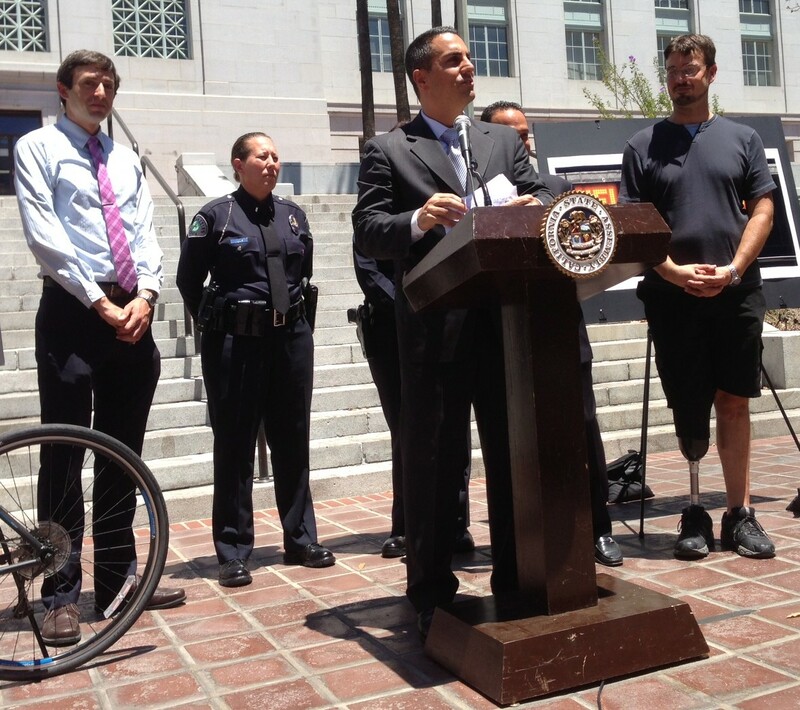 Aside from the obvious safety and social benefits, we are prideful that both bills were introduced by LA County representatives including Assemblymember Richard Bloom, representing Santa Monica (traffic diversion program) and Assemblymember Mike Gatto, representing Glendale (hit-and-run bill). You can hear more from Assemblymember Gatto himself about A.B. 8 in his interview with Streetsblog. Early rendering of proposed cycle track on Chandler Blvd, one of 8 active transportation projects from the City of Los Angeles recommended for Metro 2015 Call for Projects funding. On June 29th, Metro released its preliminary recommendations awarding grant funding to projects countywide under the 2015 Call for Projects program, a competitive application process that distributes capital transportation funds to regionally significant projects. By all accounts, this was a successful ‘Call’ year for the City of Los Angeles, in particular for people that walk and ride their bicycle. Eight projects that will improve active transportation were recommended for funding! Harbor Boulevard /Sampson Way/7th Street Reconfiguration: Harbor Boulevard and Sampson Way realignment/intersection consolidation;widened sidewalks; Class II bike lanes. 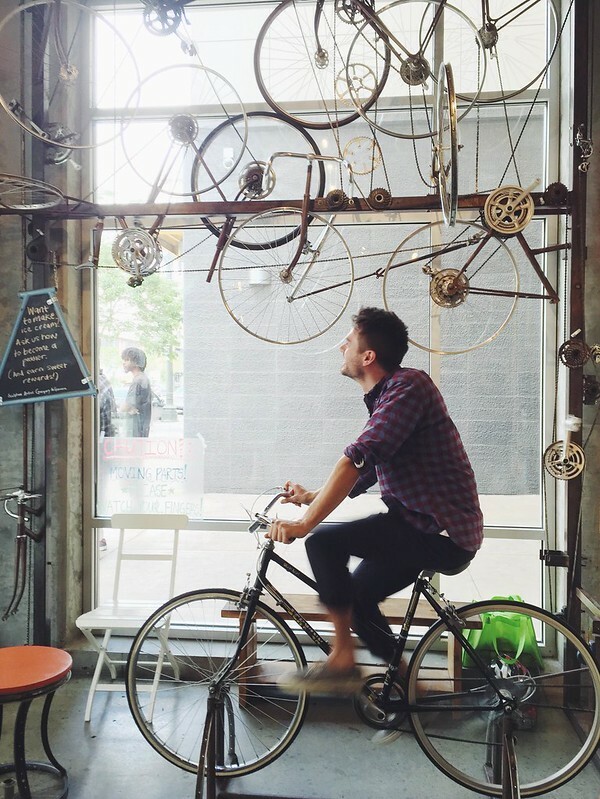 Building Connectivity with Bicycle Friendly Business Districts: Create Bicycle Friendly Business Districts that coordinate with business districts to offer TDM incentives, develop an app, and provide amenities that encourage short trips by bicycle. Chandler Cycle Track Gap Closure Project: Project will construct a 3.1 mile cycle track along Chandler Boulevard, connecting the Chandler and Orange Line Bike Paths, and bridging a gap in the low-stress bicycle network. Melrose Avenue-Fairfax Avenue to Highland Avenue Pedestrian Improvements: Strengthen first/last mile connectivity on Melrose Avenue through pedestrian/bike-friendly improvements to restore the avenue’s reputation as a retail and entertainment destination. LANI – Santa Monica Boulevard Improvement Project: The project will implement a series of streetscape improvements on Santa Monica Boulevard designed to increase pedestrian safety, support multiple modes and promote transit use. Beverly Boulevard, Vermont Avenue to Commonwealth Avenue Pedestrian Improvements: Design and construction of pedestrian improvements/streetscape enhancements. To provide linkages to major transit along Beverly Boulevard, Temple Street, Virgil Avenue and Silver Lake Boulevard. Due to the Call funding cycles, some of these projects are programmed for a few years down the line and will not be funded until as late as 2020. However, having all these active transportation projects recommended for funding are a cause for celebration and we can’t wait to implement these projects! Additional information about the details of these projects can be found in this list of applications the City recommended to submit for the 2015 Call for Projects process.